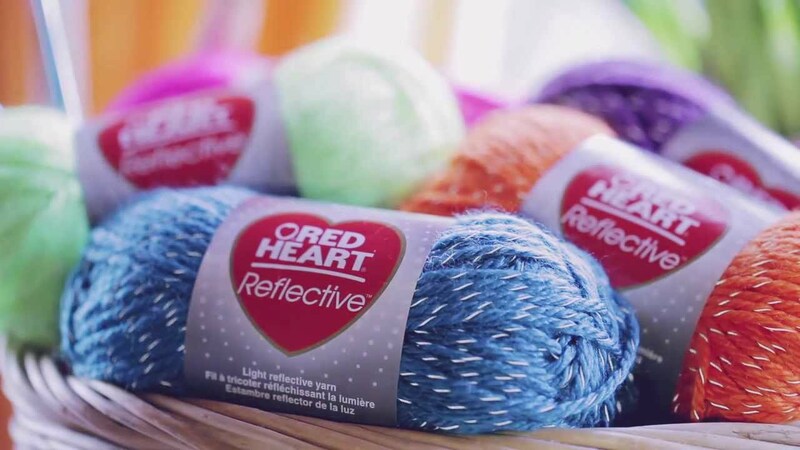 I just heard about this "Reflective Yarn" craze going on... and oh my goodness, I'm feeling super excited about it now! Basically, the yarn company Red Heart has made this product called "Reflective Yarn", which is a typical acrylic skein but has a special, added thread that can reflect light! Meaning... if you take a photo of this yarn in low light using flash, it'll light up! Amazing, right?! I'm just imagining how much fun it'll be to make a beanie, scarf, or maybe even stuffies out of these, and take pictures of them at nighttime! If you're thinking of checking them out, you are currently in luck because Red Heart is offering a fantastic deal on this line of yarn!! 30% Off Reflective Yarn! Use Coupon Code: REFLECT30! Totally neat, right?! Here's a video about the yarn if you'd like to find out more!